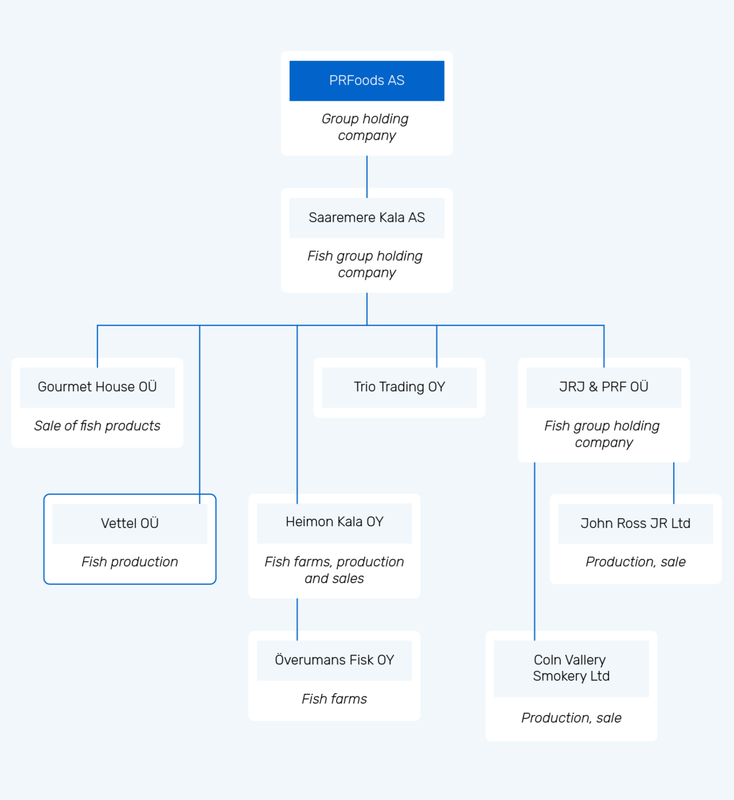 OÜ Vettel is one of Estonia's largest fishing industries and, as a subsidiary of the Estonian publicly traded company PRFoods, is among the producers of internationally renowned private-label and high value-added or premium-category fish products. The company is located by Sutu Bay on Vätta Peninsula on the island of Saaremaa, 17 km from Kuressaare. Its main field of activity is processing rainbow trout and salmon – filleting, smoking, slicing and making culinary products. One of Estonia’s most modern fish processing companies, we mainly process rainbow trout from PRFoods’ farms in Finland and Sweden and, in smaller quantities, whitefish, perch, zander, vendace, herring and Baltic herring. Red fish is smoked using a well-known method with chipped alder, and the island ladies’ nimble fingers package Baltic herring rolls into marinade that are sold in Finland under the name “cobbler’s salmon”. The majority of the company's products are exported to Finland, but we are also represented in Estonia, Latvia, Lithuania, Germany, Sweden, Norway, Denmark and Japan. PRFood’s brand on the Finnish market is Heimon Gourmet, whose range includes our northern neighbours’ best-selling fish product: cold-smoked rainbow trout fillet. Vettel employs 130 people from the islands of Saaremaa and Muhu and its annual sales volume is nearly 2.8 million kilograms of fish products.